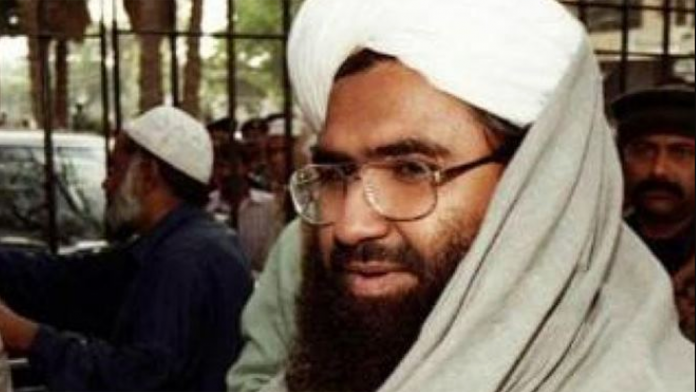 Masood Azhar is apparently undergoing regular dialysis at an army hospital in Rawalpindi, security officials said a day after Pakistan admitted to the JeM chief being in their country. This suggestion of security officials came after Pakistan Foreign Minister Shah Mahmood Qureshi said the JeM chief is “unwell”. “Recent reports indicate that Masood Azhar is now afflicted with renal failure and is under treatment and regular dialysis at the army hospital in Rawalpindi, the headquarters of the Pakistan Army,” a senior security official said. Qureshi said Thursday: “He is in Pakistan, according to my information. He is unwell to the extent that he can’t leave his house, because he’s really unwell”. The influence of the 50-year-old overweight terrorist mastermind was so huge that, when he was released by India in exchange for freeing the hijacked Indian Airlines aircraft IC-814 on December 31, 1999 in Kandahar, Laden hosted a banquet for him the same night. In the banquet, Laden recalled how he and Azhar had first worked together in 1993, the official said. Azhar was arrested for preaching jihad in Jammu and Kashmir in 1994. One of his British recruits, Omar Shaikh, as a member of the terrorist group Harkat-ul-Ansar (HuA), kidnapped four western tourists in India in 1994 in order to secure the release of Azhar. However, security agencies succeeded in releasing the hostages and arresting Shaikh. Again in 1995, five western tourists were kidnapped by HuA and eventually killed in order to gain the release of Azhar. Almost immediately after Azhar’s release, Jaish-e-Mohammad was formed and it carried out its first suicide attack in Jammu and Kashmir in April 2000 by striking the Badami Bagh cantonment in Srinagar. The 24-year-old bomber, Asif Sadiq, was one of Azhar’s earliest recruits and student from Birmingham. At this time, Azhar also began using several al-Qaeda recruits, another official said. In 1979-1989, after he suffered injuries in the Soviet Afghan War, he was chosen as the head of Harkat-ul-Ansar’s department of motivation. In the early 1990s, Azhar became the general secretary of Harkat-ul-Ansar and visited international locations to recruit, raise funds and spread the message of pan-Islamism. Among his destinations were Zambia, Abu Dhabi, Saudi Arabia, Mongolia, the United Kingdom and Albania, the second official said. He also went to Kenya to meet an al-Qaida affiliate of Somalia in 1993 and in August 1993, Azhar entered the UK for a speaking, fund-raising, and recruitment tour with the message of jihad. Azhar made contacts in Britain with people who helped to provide training and logistical support for terrorist plots. In January 1993, Azhar visited Bangladesh along with Sajjad Afghani, a terrorist leader to facilitate the intrusion of Afghani to India. Azhar was part of Harkat-ul-Mujahideen or Harkat-ul-Ansar, when he was arrested in 1994 in India for spreading hate. Azhar formed Jaish-e-Mohammad after his release in 1999 when Indian Airlines flight IC 814 was hijacked and taken to Kandahar. Since then, the JeM has been involved in terror attacks in the country. The terror group was responsible for the attack on Indian Parliament on December 13, 2001 in which nine security personnel and officials were killed. On January 2, 2016, a heavily armed group of JeM attacked the Pathankot airbase in which seven security personnel were killed. The JeM also carried out the attack on Uri brigade headquarters on September 18, 2016, killing 17 soldiers and injuring 30 others.